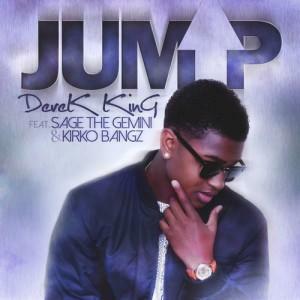 Derek King enlists Kirko Bangz and Sage The Gemini for a "Jump" remix. Derek King, an 18-year old singer hailing from Oakland, California, is steady gaining buzz with his single "Jump." Yesterday we saw Kirko Bangz preview his remix of this cut on his vlog, and today we get the full remix which also features another buzzing artist Sage The Gemini.